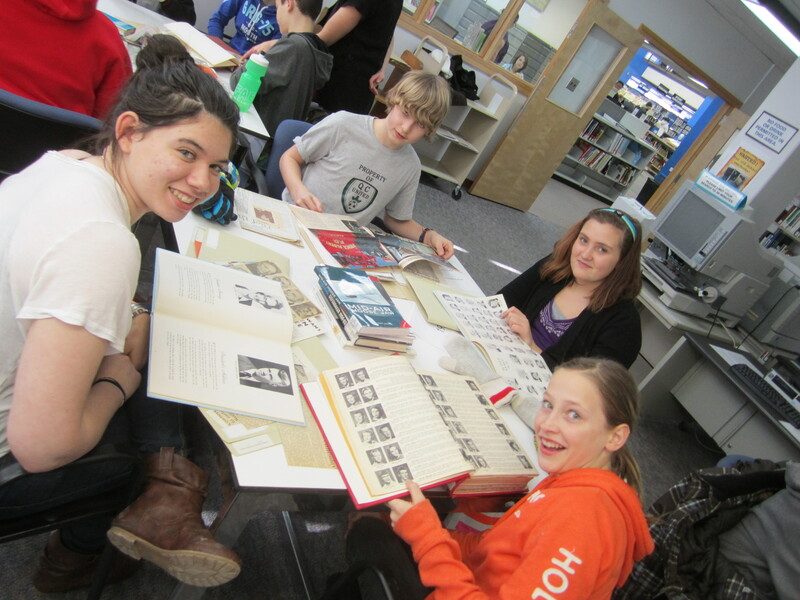 Above: Students researching at the Prairie History Reading Room. Photo by Janine Windolph. By researching the past 100 years, students created their own staged picture of how they might have looked during various decades in Regina’s past – and in Regina’s future. This gallery documents the partnership project. Photos include research at the Prairie History Room: February 28, 2012, the photo shoot and the First Edits of the photos created from the students! See the banners – click here!